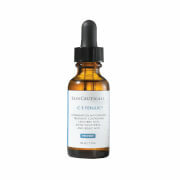 Fix aging and discolored skin with emerginC forte 20% vitamin C serum. Blending vitamin C, vitamin E, and ginseng, this unique treatment visibly and effectively lightens hyperpigmentation, refines skin tone and texture, and protects skin from damaging free-radicals. Ideal for those of all skin types, especially aging, hyperpigmented and mature, who want smoother, brighter and more youthful skin. 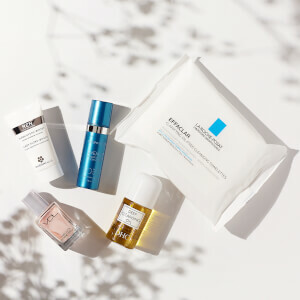 Apply to clean, dry skin. Use only a few drops on entire face and neck. Slight tingling may occur. Massage until product is fully absorbed, then follow with your regular moisturizer. 20% Sodium Ascorbyl Phosphate (Vitamin C), Magnesium Ascorbyl Phosphate (Vitamin C), Ascorbyl Palmitate (Vitamin C), Vitamin E, Vitamin F, Oxygenating Ginseng Complex, Plant-Based Brightening Complex. To be fair, I have only used this 6 weeks so far. I haven't seen much improvement in the texture or discoloring of my skin. The serum smells amazing and a little goes a long way. It did break me out slightly at first, but that went away after the first two weeks. Unless I see some change in skin soon, I will likely not order again. Very light serum, and nice smell. I've used it for 2 weeks now and I can see a difference. My spots are almost gone and my skin texture is getting softer. I also love this great smell! It's difficult to find a 20% vitamin C serum that is blended with Vitamin E and ginseng to give you the high concentration of Vitamin C with soothing antioxidants. I have been using this product for as long as it has been available on the market. It goes on wonderfully-not sticky or gummy and has that clean smell. I have received many compliments on "what beautiful skin I have". I have used a half bottle of this product and the most impressive is its pleasant smell. For combination to oily skin, I think this one is enough and can act as the last step in a skincare routine. Until now I can see a little more radiance. I hope it could make more difference when I finish this. I have been looking for a C serum for a while now. Found this one. Love the packaging and smell. I have been using it for about 10 days now, see a bit of improvement in my complexion. will continue to use! Goes on smooth and smells good. I am starting to notice some fading of sunspots after a few weeks. Love this serum, using this one with hyper-vitalizer cream. And the smell is good. I was introduced to this product by a facialist and have never turned back. I use it with the Hyper-vitalizer cream and love the results. 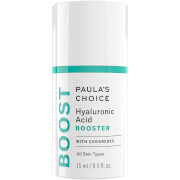 I am using this serum with Hyper-vitalizer cream and it's great! I am now using my second jar of this! Very moisturizing!